Our First Week in Fiji – Craig and L'Or L.
We did it! We finished our training at the MTC, hung this sign on our doorknob, took our bags, and flew to FIJI!! What a wonderful first week! Fiji is absolutely beautiful! Our Seminary and Institute Coordinator, Bro. Sefeti, met us at the airport and had us laughing all the way into town. There he introduced us to our mission president and his wife, Pres. and Sister Layton, the mission staff, and everyone at the Service Center. We’ve been welcomed and fed and helped every step of the way. 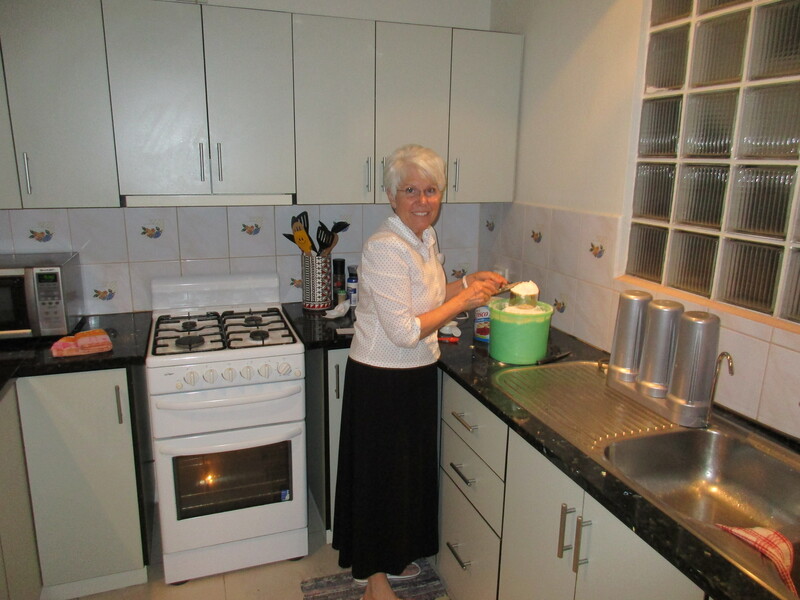 Both Elder and Sister Terry and Elder and Sister Knight took us shopping to help us settle in. Going to the market for fruits and vegetables was fun, and helped us learn how to use Fijian money. 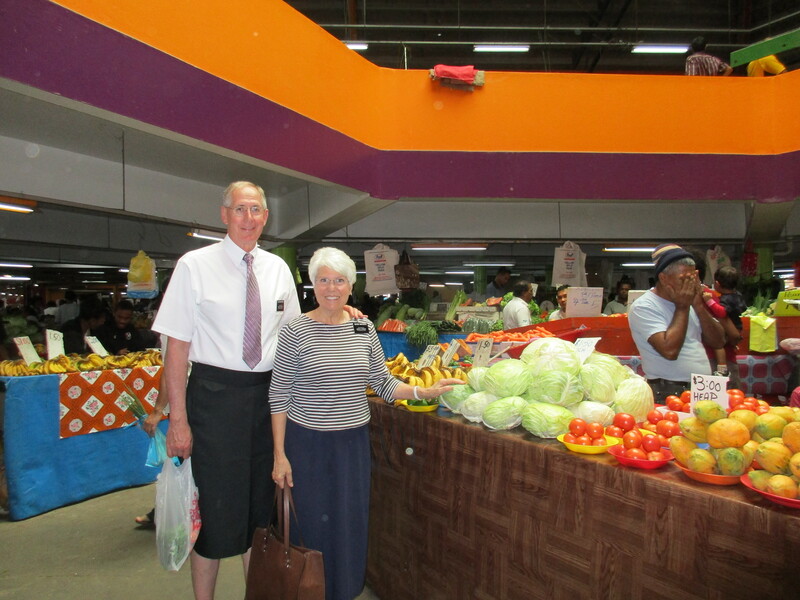 Elder Whitehead even received a compliment on his sulu! Later, we had a good laugh when our stake president also complimented him on his “white socks” (white legs). We mastered the oven and baked treats, and had a wonderful week of classes – Principles of Leadership, Doctrine and Covenants and Church History, and Mission Preparation. This is Sister Whitehead with some of those who attended the Mission Preparation class: Manny, Tetika (who ran over and greeted us our very first day! ), Josefa, Joeli, and Gabby. On Saturday we had a fun activity with about 30 young single adults where we played a get-to-know-you scripture scavenger hunt, the cram board game, ping pong and billiards. At the close of the activity, we sang “God Be With You ‘Til We Meet Again” to LeRoy, who will be leaving for his mission to New Zealand this Wednesday. Oh, can these YSA’s sing!! Probably more than half of the YSA’s go to the Philippines on their missions, and it has been so much fun for Elder Whitehead to talk to them about the Philippines and speak Tagalog again. We feel so blessed to be here — we love it, and can’t wait to begin another week!